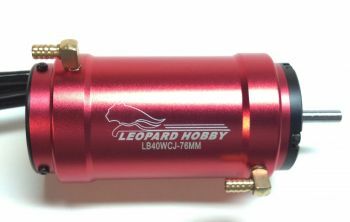 Leopard Water jacket for the 4092mm Leopard Motors. Apply some oil to both your motor housing and o-rings, then slide on the jacket. Picture shows the jacket installed on a 4092 Motor(not included). Note: This jacket will fit the 4092 Leopard motors that have the wires that exit the back of the motor.